Commonly referred to as “liquid gold” due to its many benefits, argan oil is a native Moroccan oil extracted from the kernels of the argan tree. Quite popular in the world of cosmetics, this organic oil is used for a variety of purposes including conditioning hair, moisturizing skin, and even maintaining beards. Yes, argan oil for beard care is becoming the preferred choice for many beard growers these days – and with good reason. This is thanks to the oil’s numerous benefits for the skin and hair. Argan oil is known for softening and adding shine to a beard while moisturizing the skin underneath to prevent itchiness. It’s simply one of the must-have grooming products for any serious bearded man. So, if you’re thinking of growing a beard or already have one, read on to discover the benefits of using argan oil as well as some great options you can use. High in fatty acid content and rich in vitamins A and E, argan oil is an excellent moisturizer that gives the skin a natural boost. The nutrients in the oil hydrate and soften skin, allowing you to go about your business with skin that not only feels great but also looks great. Another great thing about argan oil is that it easily absorbs into the skin, allowing you to enjoy the feel of soft skin that’s not oily. This is unlike some beard oils that leave a greasy residue that irritates the skin and ruins the look of your beard. With skin dryness and itchiness as two of the most common annoyances of beard growing, argan oil is a product that will prove to be very beneficial if you decide to grow out your beard. The vitamin E and fatty acids in argan oil provide it with healing properties that soothe dry and itchy skin to prevent irritation. With argan oil keeping the skin underneath your beard soft, moist, and itch-free, dandruff will not have a chance to develop. Therefore, you’ll not have to worry about embarrassing white flakes sticking out of your beard. Argan oil is a proven treatment for damaged hair. It can also glam up healthy hair, and this is why it’s widely used as a hair conditioner. If you want your beard to look decent and neat, argan oil is the way to go. This oil’s ability to penetrate the hair and repair damaged follicles results in softer, silkier, and shiny hair. Now that you’re aware of the many skin and hair benefits of using argan oil as your preferred beard care product, here’s a look at two of the best argan oil options in the market. With over 100 Amazon users vouching for the effectiveness of this argan oil by Poppy Austin, and leading celebrity hairdressers and dermatologists recommending it to their clients, this product clearly delivers on its promise of instantly improving the health of your hair and revitalizing your skin. Unlike, other argan oil options, which are mass produced in factories and added with all sorts of additives, this Poppy Austin oil is extracted through traditional hand techniques and cold pressed. This helps to provide the argan oil with unbeatable quality by ensuring that none of the oil’s nutrients are lost or contaminated. Thanks to its manufacturing process, the argan oil by Poppy Austin is packed full of essential fatty acids, vitamin E, and active triterpenoids that deliver amazing results to both the hair and skin. The oil’s amazing power has the ability to turn dull, brittle, dry, tired, limp, or over-processed hair into a glowing, silky, soft mass in less than a week of daily application. The oil hydrates, softens, improves elasticity, reverses free radical damage, and rejuvenates skin by restoring the skin’s hydro-lipid layer. 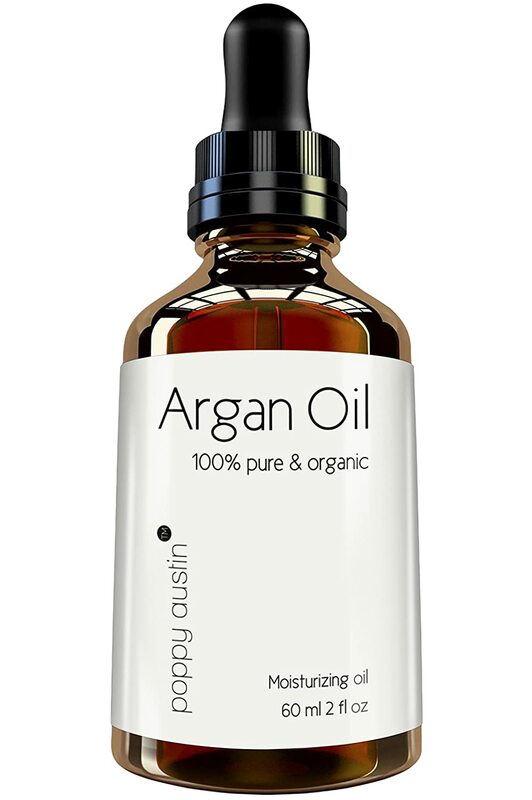 A few added bonuses of the Poppy Austin argan oil is that it’s sourced from the finest argan nuts. Additionally, it comes stored in a brown, opaque glass bottle that helps to protect the oil’s healing and restorative properties. Therefore, you’ll be able to enjoy the oil’s amazing effectiveness down to its last drop. 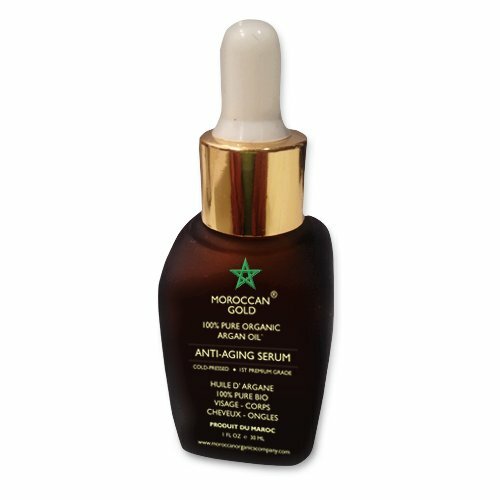 Just like the Poppy Austin argan oil, this argan oil by Moroccan Gold is a winner. In fact, the company has already won the “Gold Trophy Best Argan Oil Producer in Morocco” in 2013. Seeing that this argan oil is cold pressed, unrefined, and all natural, it’s not hard to see why this argan oil is so well-received. It’s also certified by the EcoCert Approved Fair Trade and has many past purchasers at Amazon raving about it. Therefore, you can trust the oil to deliver excellent results. This argan oil reinvigorates fragile hair, tames frizzy hair, reverses cellular damage, and protects hair from sun, sea, and chlorine effects. Using the oil will give your beard a beautiful, healthy glow. When used regularly, this argan oil not only moisturizes and softens skin but also minimizes lines and blemishes and restores skin elasticity. Therefore, using the oil not only gives your skin a radiant, youthful look but also heals razor bumps and burns brought on by years of repeated shaving. This argan oil comes with a dispenser and glass pipette dropper allowing you to have a mess-free, easy time applying it to your hair and skin. It’s also stored in a beautiful amber frosted glass that prevents corrosion by outward substances. Growing a beard is not easy and maintaining one requires even harder work. The two argan oil options above will help make your beard growing easier by ensuring that you’re giving your beard the very best care it rightfully deserves. The best part is that both options are affordable oils from reputable brands. Therefore, you won’t have to spend a lot to keep your beard looking good. What Causes a Bearded Lady?